Professional Putty - now in new, styrende-reduced quality. To fill holes, perforation corrosion, and unevennesses. 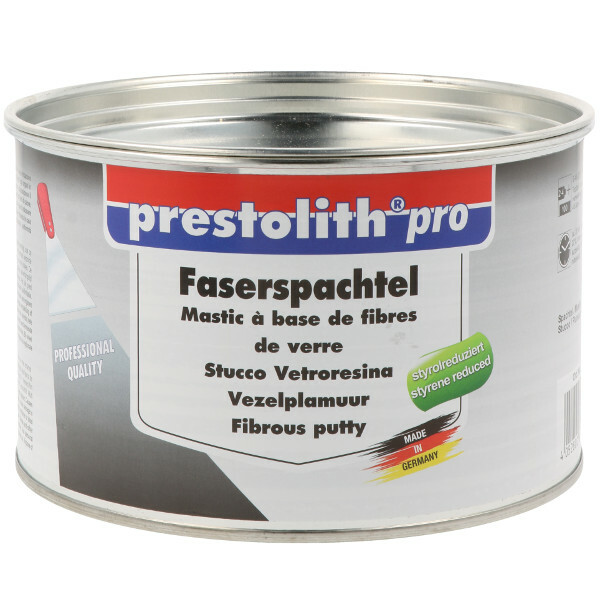 The combination of the used polyester resin allows the use on all surfaces and areas, which are exposed to tension and extension. Hardener: not included, here you find the suitable hardeners. The object you wish to repair should be de-rusted, clean, dry, fat-free and sanded. Take the requested portion of putty compound out of the can and mix it well with the corresponding quantity of hardener. Apply the mixed material in the desired layer thickness. Clean tools immediately after use, if necessary with a nitro thinner. Do not return mixed material into the can. After approx. 20 minutes the repaired spot can be drilled, sanded, sawed, rasped and painted. 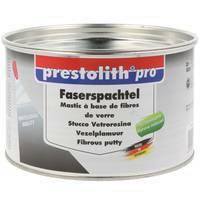 Before you apply a paint coat, egalize with prestolith pro Universal Filler or pestolith pro Soft Fine Filler.